Embark on a musical trek through a nearly lost world with Guy Mendilow Ensemble’s The Forgotten Kingdom. Journey through former Ottoman lands starting in Sarajevo and winding through Salónica in a narrative-driven performance reimagining the historical record of Sephardic communities of the Balkans and Mediterranean. In this sweeping adventure brought to life by an "international tour-de-force" (Bethlehem Morning Call) from the Middle East, South and North America, music and storytelling conjure an imagi-nation lost to war, recorded in a language that blends archaic Spanish with Turkish and Greek. The bittersweet yearning of fado, the rhythmic and emotional intensity of flamenco combine with cinematic arrangements stirring those familiar with the culture and those new to it. and the strengthening of communities through the arts. The past can feel distant, foreign: its communities erased, its memory buried. Yet we can sometimes access it through the fantastic, through storytelling that resonates with lived experience. Composer and artist Guy Mendilow has followed this path to the past, weaving together vignettes, glimpses, and fragmented stories from and of Sephardic communities around the Mediterranean and Balkans. Many of these communities have been wiped off the map, even their language nearly forgotten. But the characters who sprang from them feel fresh and present, and to Mendilow, their adventures and trials suggested a Sephardic epic of sorts, complete with powerful music and universally resonant emotions and messages. Rethinking the role of musical aesthetics and spoken word in re-creating these impressions, Mendilow and his Ensemble has recorded The Forgotten Kingdom (release: October 6, 2017). The album has two versions, one with just the music from the show, one reflecting the interwoven stories, complete with spoken interludes. Its vignettes propel listeners from old world and into new, from the mythical (“Esta Montaña D'Enfrente /The Mountain Ahead Burns”), the actual (“La Vuelta del Marido/The Husband’s Return”) and concluding with the harrowing symbol of the trains to Auschwitz (“De Saloniki a Auschwitz”) that bring this older age to a definite, violent end. The product of years of performance, research, and revising, The Forgotten Kingdom’s intertwining music and storytelling conjure an imagi-nation lost to war and upheaval, recorded in a language that blends archaic Spanish with Arabic, Turkish, Hebrew, and Greek. “As far as I know, The Forgotten Kingdom is America’s first semi-theatrical touring production made of Ladino songs from Balkan and Mediterranean communities destroyed in WWII,” says Mendilow. “It’s an evocative trek through former Ottoman lands, an allegory that ultimately begs some questions about ourselves today, and the ways these stories continue to play out, in a modern guise.” Mendilow and ensemble get the adventure to burst “with artistry, refinement, and excitement." (Hebrew Union College). To make the work live and breathe, Mendilow learned these women's songs, traditionally sung a cappella in homes and communal celebrations, by listening to gritty field recordings. He then set aside notions of purity or authenticity, in favor of finding emotional connection. As he described his ideas to an established Ladino scholar, York University’s Judith Cohen, she laid it on the line: You either keep strictly to tradition and abide by its ways, or you pursue your own ideas, but without calling it traditional. Mendilow opted for the latter. These stories speak to our age, Mendilow feels, which is why this project absorbed him for so long. “The Ladino story is a case study in resilience, in collaboration across ethnic and religious divides, and in evolving identities due to immigration,” says Mendilow. “And I feel this story begs the question: Are we also straddling an older, familiar world, and a newer one we can hardly imagine, like those in the stories did back then?” Mendilow and his fellow musicians strive to set the scene, to craft lively portraits of the characters, leaving ample space for listeners to invest in the tales, outside of the cultural and historical specifics. Stories get better with the telling, and The Forgotten Kingdom proves no exception. Mendilow and his Ensemble, whose members play with everyone from Amanda Palmer and Snarky Puppy to Yo Yo Ma and Bobby McFerrin, started developing the live performance of The Forgotten Kingdom several years ago. The group toured the show extensively, gathering responses from audiences who had never heard of Ladino, from elders who spoke it and knew the songs from their Sephardi homes decades ago. The story of these tales themselves is perhaps one of the most fascinating of all. Though history never really has a beginning, you could say that a diving-in point here is the end of an era: The final expulsion of the Jews from Spain in 1491 and from Portugal in 1497. This uprooting began migrations in which the Jews eventually settled in communities spanning the vast Ottoman Empire, from Northern African and the Mediterranean to the Balkans, and beyond. In each adopted home, languages, food, customs, stories, songs and musicality mingled and cultural and linguistic offshoots eventually evolved. The language itself is a beautiful illustration of these broader patterns. Variously called Ladino, Spaniolit, Yehuditze, Hekatia, Saphardi or simply Spanish, the language is more like a number of closely related sub-streams, today grouped under the umbrella term Judeo-Spanish. To some extent, each community integrated words and expressions from the local language, including Greek, Slavic languages, Arabic, Turkish, and Hebrew. Wherever it is found, Judeo-Spanish is also a type of linguistic time capsule: The Spanish Jews preserved the lexis, syntax, morphology and phonology of Medieval Spanish as well as idioms, pronunciation and accent of words which have long since vanished from Spain itself. Judeo-Spanish is still spoken by pockets of Jews, today primarily in Israel, though it is considered an endangered language. The Forgotten Kingdom springboards off of songs mainly from the communities of Sarajevo and Salonica. The traditional source music is primarily from the early twentieth century, though the lyrics of a few of these songs are much older, even pre-dating 1492. While these older songs may well have been sung for hundreds of years, there is little evidence left to indicate the melodies and ornamentations used back then. The melodies that we know today are much more recent. Romanzas: These are many of the epic/historical stories, tales of kings and queens, intrigue, daring escapes and, often, treachery. Romanzas have a fixed structure similar to the French Ballade: Each line has 16 syllables, divided to two 8-syllable parts with an assonant rhyme scheme. Some romanzas have 12 syllables per line, divided into two groups of six. The romanza is a narrative in which the order of verses is important. Cantigas: These songs often deal with love, longing and disappointment. Unlike the romanzas there is often not a single, progressive, plot to the song and the form and verse order can vary from one version to another. Cantigas can be songs of courting, mourning, even drinking. They can be tied in with life events like weddings and other communal occasions. Coplas: These songs are associated with values and beliefs. Coplas can revolve around important community figures, economic hardship, specific holidays or moral themes. The lyrics to coplas tend to be more modern (17th-19th century). This show focuses on romanzas and cantigas. continuum between curation and creation they lie, and in identifying their aims in so situating themselves. In this case, it should be stated from the start that The Forgotten Kingdom does not aim for ethno-musicological authenticity. While my creative process with these traditional Ladino songs does indeed begin with ethno-musicological field recordings, followed by research into the songs’ traditional function and context, it generally takes major turns. "An international tour de force” (Bethlehem Morning Call) from the Middle East, South and North America, the Guy Mendilow Ensemble transports audiences to the long-ago-and-far-away...to hold a mirror for our own here-and-now. The world-class ensemble combines evocative storytelling with emotionally captivating music in shows that “explode with artistry, refinement, and excitement” (Hebrew Union College), conjuring voices lost to war and upheaval, whisking audiences to distant times and picturesque places and, ultimately, stirring highly resonant, deeply moving connections to contemporary struggles and dilemmas. The National Endowment for the Arts recognized the Guy Mendilow Ensemble for the creation of art that meets the highest standards of excellence, public engagement with diverse and excellent art and the strengthening of communities through the arts. 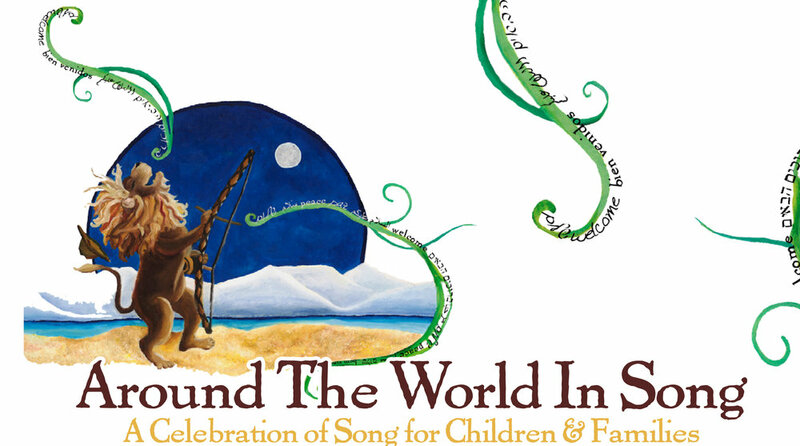 The Guy Mendilow Ensemble tours four shows: The Forgotten Kingdom; Heart of the Holidays — A Global Celebration in Song; Three Sides to Every Story; and Around the World in Song family concerts. Distinguished educators, the ensemble specializes in community engagement including tailor-made residencies, choral/string collaborations and a breadth of interactive workshops. The Ensemble is an artist-in-residence with Celebrity Series of Boston's Arts for All since 2014.